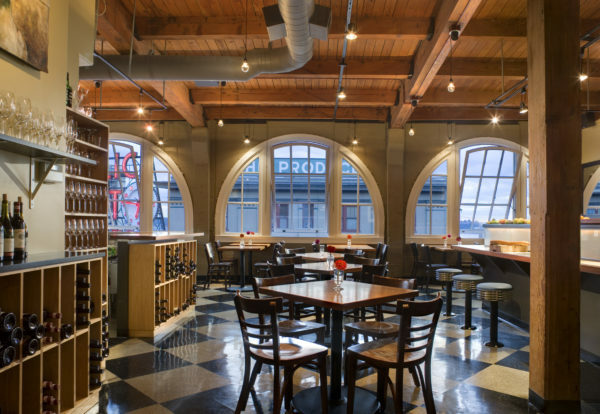 This Seattle institution looked to expand within the Pike Place Market without losing its lively and inviting dining experience. The new space tripled the seating and preserved the celebrated character of the original restaurant. True to its history, seating wraps the Kitchen and Bar keeping the patrons engaged with the chef and staff. Tables along the perimeter offer views to the Pike Place Market and the Olympics beyond. The expansion retained the landmark building’s historical character and the unique experience which makes Matt’s in the Market a Seattle favorite.